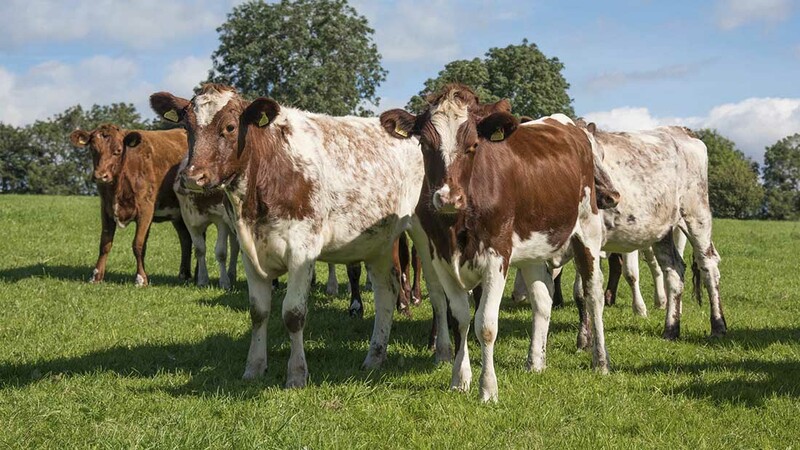 The Beef Shorthorn Cattle Society has come under scrutiny after one of its members argued it had ‘abandoned’ its dairy counterpart. From April 7, the society will have its own secretary and accompanying administration following what it called ‘new structural arrangements’. But North Yorkshire farmer Paul Wright questioned the society’s decision to separate its sectors. He said: “It is a disgrace for the Beef Shorthorn Cattle Society to just sling their hook. “I hoped they could have helped pull dairy back as it is descending fast, but it looks like they have actually left them to sink. Mr Wright slammed the society suggesting it had ‘pulled a rotten trick’ and had forgotten its loyalties after dairy brought it back from bankruptcy in the 80s. James Robinson, president of the Shorthorn society, echoed the sadness but said as a society, dairy was not struggling. He said it was a ‘shame’ but the split was inevitable. “There was a bit of loyalty in the beef side to remain with us but with the size of their growth it was understandable they wanted their own specialised focus,” he said. “We did our best to find a way to go forward together but inevitably the split was going to happen. Mr Robinson added the societies would remain ‘one Shorthorn family’. Sally Horrell, president of the Beef Shorthorn Cattle Society, defended the decision and said many members were happy to have a new secretary which was ‘100 per cent beef-focused’. “We are not abandoning dairy,” she added. “It was an administrative process as we had struggled to put together a package which would suit both societies and their needs going forward.